The history of the health and tourism complex goes back to the Soviet times. In 1957 on the place where the mineral water comes out, a balneological health resort of the Pamirs was built. Fame about power of the hot spring Garm-Chashma which was more than thousands of years old quickly spread out beyond Tajikistan. Long since, such a rare and surprising natural phenomenon attracted in its time attention of local people. Ancient inhabitants of the Pamirs, giving a status of a sacred spring recovered from many diseases. This is how the second definition came out «Garm-Chashma», as a source, assigned by a saint. In late 19th century inhabitants of the Pamirs created altars in the area around of the spa – small niches were created in the rock, where sacred objects were placed and an icon lamp was alight. The first part of the hot spring research belongs to the famous Russian botanist B. A. Fedchenko, who visited these places in 1904. The hot stpring was scrupulously studied the first time in 1928 by a Russian mineralogist A. N. Labuntzov and his assistant N. I. Berezkin. The spring originated from calcareous rocks, making its way through earth thickness and hard petrean rocks. Over thousands years the calcareous-calcium sediments created unique snow-white mountain with hardened cascades, where 24 bowls splash. The walls of the natural pools are laid out with intricate stalactite, which are not stopping to delight those who visit this place. The water comes out to the surface from large depths and is located at the altitude of more than 2000 m above the sea level. Small and big streams as long as 10 cm to 1.5 m carry healing power and cure many skin diseases. 5 to 7 liters of hot water comes out from one stream in a second. Natural bowls – pools of different sizes are filled with hot water of a turquoise color, which contains magnesium, fluorine, aluminum, hydrogen sulfide, silicic, carbonic acid and other elements. Not far from it there are also spas with permanent temperature of +14 C degree water from which is used as table water. Favorable climate, air saturation with ions, curative power of mineral springs as many thousands years ago help a man, visiting this wonderful area to cure from many diseases and get supply of energy and great emotions. 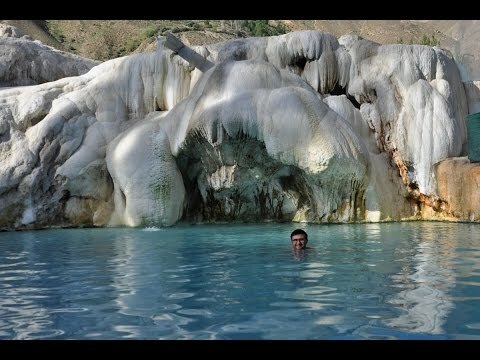 Garm-Chashma where visitors come from around the world, is fairly considered as one of the famous areas for sightseeing in Tajikistan. Absolute altitude mark of Garm-Chashma location is 2800 m above the sea level. Our hotel is located at the territory of the health and tourist complex "Somon-TM", which allows being at open air and improving your health, without depriving yourself from all the good things of civilization. Comfortable rooms, combining aspect of elegant simplicity and hotel refinement are at your service. This is almost the only hotel located at this altitude in GBAO which helps you to comfortably sit at the balcony of your room and enjoy fresh air and feel yourself part of the grand and unique nature of the Pamirs. Restaurants, bars, saunas, billiard and many others, which are offered to our guests, will provide you with a quality service. If you are a foreign tourist, dreaming about new impressions, then for a short period of time you will be taken from a comfortable room to the feet of peaks of the Pamirs. We also offer rooms with expensive decoration – de luxe and a high level service for demanding clients. For those who prefer to move around on their own vehicle we provided convenient, guarded parking. Our qualified personnel will do all to secure memorable holiday for you. Due to our extensive tour guides offer base we can ensure selection of an optimal option of a trip or an exciting tour. 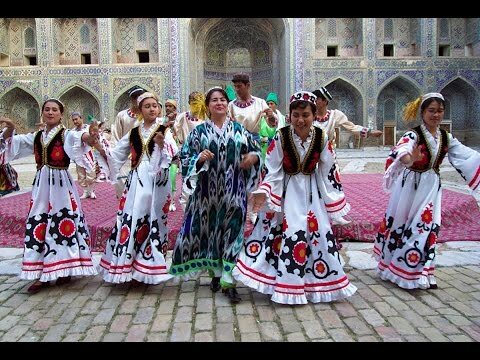 We will provide you with a perfect planning and exclusive tour offers, which will help you to discover the Pamirs from unexpected and little known sides. A short tour with partners or an exciting tour with family or friends will enrich your stay in "Somon-TM" health your holiday is diversified, developing interesting itineraries of various complexity and extent, and also included additional options as services of professional translator, rent of vehicle and bicycles. Medicinal and health unit offers optimal choice of treatment and prophylaxis for those who prefer to rest with benefit for health. Our medicinal and health program is developed by the leading specialists in the sphere of sanitary-resort treatment and is realized under a vigilant control of doctors of high category. Location of the resort in highland conditions, highly qualified medical personnel, experience in body health improvement – all of this favor successful treatment of hypertensive diseases, bronchial [spasmodic] asthma, psoriasis, dermatitis and a range of other diseases. Specialists from our medicinal and health unit first of all identify causes of disease, developing individual health improvement program all year round independent of holidays or weekends. The security service of the health and tourism complex of "Somon-TM" provides maintenance of public order and security of guests at the territory of the complex. You would not need to worry about safety of your vehicles – a finely equipped protected parking station is at your service. Highly qualified professionals of first class are in the security service team of the hotel and resort complex that will respond to the security needs of the visitors. Our service is also competent in providing first aid assistance and keeping permanent connection with the searching-rescue unit of Emergency Committee of the republic of Tajikistan. Comfortable conditions of the health and tourism complex and wonderful climate allow organizing any type of recreation for our visitors. Trying to charge you with good mood we run programs, sport contests, entertaining shows for children and for their parents. 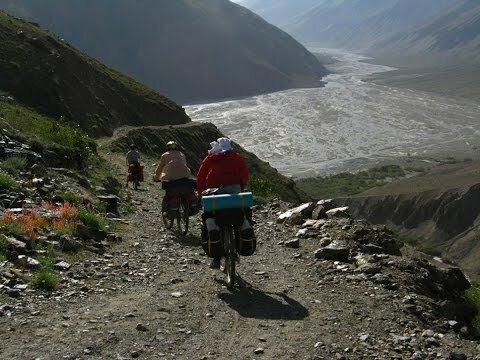 We organize picnics – excellent corporate or family holiday in the open air of the Pamirs. We also conduct unforgettable tours to the historical places and surroundings of our complex. We recommend using rent services where you can find any sport stock to avoid monotony and tiresome holiday. If you are professional photographer, and extreme holiday fan or hunting fan, we will develop individual itinerary for trip and active entertainment which will leave lovely impressions about your visit to "Somon-TM". The price is valid for a 12-day stay in the health resort for a person.